Too busy. Not interested. FORGOT??? With all the non-stop news on every media outlet, both legitimate and social, for fully 18 months before the election, how the Sam Heck could anybody, let alone some 2.3 million people, simply forget??? We must surely qualify for the nation with the poorest memories in the world! Nearly 90 million people who were eligible to vote in 2016 did not. What might our nation look like today if those 89.7 million people had gotten off their butts and done what is known as their civic duty? I, for one, might not have bags the size of Oklahoma under my eyes! We might actually have a functional government in Washington. Perhaps there would be heads of agencies, such as the Environmental Protection Agency, the Department of Education, and the State Department who not only knew and understood their jobs, but were also willing to do them! We might not be making threats to other nations that stir the angst of all and put the U.S. and its allies in danger. We might be participating in working to establish peace, rather than to start a war. And we might still have the respect, rather than the derision, of other nations. But no … people were too busy, didn’t want to get rained on, didn’t like the choices, or just weren’t interested. There are, certainly, some who did have legitimate reasons for not voting. If a person was in an auto accident, or had a sudden heart attack and found himself unexpectedly in the hospital on November 8th, that person is not to blame for the current mess. I have a friend who lives with an oxygen tank and is confined to a wheelchair, yet she voted, so overall, I am not inclined to buy the excuse of ‘illness or disability’ except in certain circumstances. Where there is a will, there is a way. Especially given the fact that almost every state offers some combination of early voting, absentee voting, and mail-in ballots, so people who are too sick or otherwise incapacitated, were still able to cast a vote. The 13.4% who said they were ‘not interested’ puzzle me. How can one not be interested in who makes the decisions that affect all of our very lives? Do these people pay taxes, get sick sometimes, send their children to school, have jobs? Do they breathe??? I wonder how many of those who were not interested are even functional human beings? I wonder if they will be interested when their son gets his draft notice to go serve in the Korean Peninsula? Will they sit up and take notice when their kids are sent home from school because of a lack of funding? Or when they suddenly cannot breathe the air? Those who ‘did not like the candidates or the campaign issues’ (12.9%) are just as bad. So what? You do some research, you inform yourself of the issues, and you choose the one that is least obnoxious to you. It’s called the ‘lesser of two evils’, and it has been the de-facto way of voting for decades, if not centuries. No candidate will ever be perfect, and no candidate can appeal to everyone, for we are humans, not automatons. But if you cannot even be bothered to give it some thought and make a choice, then you are simply too lazy. That’s right … lazy! The bottom line is this … with some exceptions that I will discuss in Part II, the 89.7 million people in this nation who were eligible to vote, but didn’t, must claim much of the responsibility for all the chaos and dangerous politics happening in our country today. These people who did not vote are every bit as guilty as those who voted for Trump. Those who voted for Trump made a mistake, but those who did not bother to even vote because they were too lazy or uncaring deserve the wrath and scorn of us all. 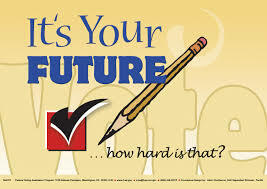 Voting is a right, it is a privilege, and most importantly, it is a responsibility. If you eschew this right, if you shirk your responsibility, we are all losers. This nation will not remain a free nation if nobody cares enough to vote for the people who will keep it free. It is my opinion that we are currently on the very brink of losing our status as a free nation, that our very Constitution is in danger of being shredded, and I lay the blame for that right at the feet of those who failed us all in November 2016. This is Part I of a 3-part project on Voters not Voting. Part II will take a look at the demographics — who isn’t voting and why. And finally, Part III will look at some things that can be done to help solve the problem and get people to the polls on November 6th. This entry was tagged 2016 elections, Civic responsibilities, excuses for not voting, forgot to vote, Pew Research Center, voter apathy, voter registration, voting. Bookmark the permalink. Jill-you failed to mention one thing in your post. The reason the country is in the condition it is now is because of one simple thing-the electoral college. The most popular candidate did get the most votes, but our ridiculous system of choosing the winner is what failed the country. How many citizens actually cast a vote, only to have it not count for anything. If I’m a Republican from a state that traditionally votes Democrat (I’m not) how much is my vote going to influence the election, probably not at all because of the college. The true answer to your issue is to make the popular vote count. Yeah, it’s a tired old complaint, but the last 2 Republican presidents got in on that little loophole. You say that people who don’t vote are as “guilty” as Trump voters for the shape the country is in, sorry but I call BS on that one. What about special interest groups who help to write laws that benefit them? What about life-long politicians who make a career out of being in Congress, and taking a lot of money in donations from those special interest groups (yes, I believe in term limits, just like in the Oval Office)? What about politicians who vote only party over conscious? Here is another tired argument. My civic duty includes paying my taxes, respecting the lives of those around me, jury duty if I’m called, and what about the fact that I’ve raised a responsible child who is now serving in the Navy as an officer? Where do you think she got all of those values, why do you think she is choosing to make a difference? Not from any of our elected officials, that’s for sure. As a productive citizen of this country, I chose not to vote in 2016. That in my eyes is my right as well. Just as it is your right to criticize me for it and my obligation as a citizen to respect your right to do it (I usually agree with everything you write, just not this time). When I see posts like these I sometimes wonder if the issue is the right to, or not to vote, or is it more about advancing the party agenda to which the writer belongs. Thanks for your post and for reading my reply. Keep writing and I’ll keep reading. Thank you, friend! Your comment is well thought-out and deserves response in kind, so I shall try. First, I did not forget the electoral college, and fully agree that it failed in the exact situation for which it was created. But, I intentionally left it out of my series, for I do not see it as a substantial reason that people don’t vote, and THAT was the focus of my project. That said, there is, of course, a link, but not enough for me to include it in these posts, as I am dedicated to keeping posts under a certain length, which means I have to be somewhat minimalist with my words and thoughts. Yes, there are special interest groups, lobbyists, wealthy donors, the fossil fuel industry, and all sorts of ‘supporters’ who tip the balance of the scales. But at the end of the day, it is the voters who make the decision who fills those seats on Capitol Hill and Pennsylvania Avenue. We can choose to ignore all the ads and do our own research, use informed thought processes when we cast our votes, or we can sit home and say, ‘screw it, I am not voting because x-y-z’. All those dollars & donors can do is influence the opinions of those who are too lazy to dig into the issues and learn what each candidate represents for themselves. So yes, I DO blame the non-voters, for they might have made a very important difference … we will never know. That is not to say that I don’t understand their frustrations, for surely I do, but I cannot respect one who doesn’t even try to use the little bit of voice he/she has to make a difference. Your civic duty … ah, yes, you have done well, served on juries, raised a child who is serving in the military (thumbs up to her, by the way! ), and from what little I know of you, I think you would probably stop to help an injured person if you came upon one, or to rescue a cat from a tree. I think you have a good heart, and I’m convinced that you are intelligent. So … why don’t you feel it’s your duty to help ensure that there is competent leadership, to help choose people in our government who will help us to maintain the freedoms we have, rather than strip us bare while they turn what was once a democratic-republic into a kleptocracy? 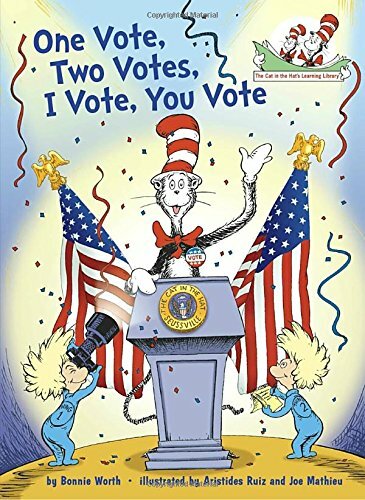 And lastly, no you may notice that in this series I was very careful not to espouse a specific party, but merely to encourage people to exercise their right to participate in government. Frankly, if everybody just gets out and VOTES, I’ll take my chances that we will end up with the best possible leaders, given the choices. You want to vote republican? Green? Write in? Fine … do so … just VOTE. Use that beautiful voice, okay? Please? Glad to know that you’ll keep reading, my friend, and I will keep writing as long as I can! Thank you!!! And welcome, Wilfed from the UK! I hope you will come back soon! Jill, thanks for doing this. I made a longer comment on Part II. As with the Brexit vote, there was a huge amount of protesting by younger folks when Trump was elected. My first reaction is if you did not vote, your protest rings hollow. That is how this process work. Because of not voting, we have the least qualified and inflammable US President and the UK about to leave the EU. Both of these outcomes were due to people not voting and efforts aided by the Russians to influence not voting. Thanks Keith!!! I agree, but the real question is … how to motivate those who are disgusted with the entire process, those who think that no matter how they vote, nothing will change? For in a sense, I understand their thoughts. They aren’t completely wrong, but we NEED them all out there voting, fighting the good fight. This nation is a rudderless ship, and we simply have to find the fix, else we are going to hit that iceberg. This posts from Filosofa are always superb!! People sacrificed much, including their lives, for the right to vote. It is criminal that people take it so lightly!! On the other hand it is also criminal that we are constantly presented with candidates who are not worthy of a vote! Thank you so much for sharing this, Opher!!! I appreciate it more than you can know! Quite true … we rarely, these days, have good choices and are more often forced to choose “the lesser of two evils”. So many thanks, John, both for sharing and for your kind words. I spent about 18 out of 36 hours working on this series, and frankly it drained me, so I’m grateful that you and others found it worthwhile! You’re welcome, Jill! It is a great series of posts! Well, Jill, I finally have to play devil’s advocate for real, and I know you and your readers are going to come down hard on me, but what I am going to say is MY TRUTH, and no one can change that or shame me into changing that truth. The last time I voted was for a young up and coming politician who swore he would not play political games if elected. He would vote with his conscience. If he did not agree with the party line he would note vote it. He knew what democracy should be like, and he wanted to change the way the “old parties” played politics. This bright young man was elected, and within three months he had been chewed up and spit out, a “reborn politician” who did all those things he swore he would never do. He finished his term, and never ran for office again. He was a tragic casualty of party politics, and while I never heard what happened to him, I’m pretty sure he was a broken man. If this is democracy, I want no part of it. Politicians are not human. They are power-hungry bullies looking to take a free ride–no, a paid ride–at public expense. (AND YOUR PRESENT PRESIDENT IS THE PERFECT EXAMPLE OF THIS). I pay my taxes, I more or less obey the laws, and I complain about the hideous ways of democracy. What the American public is going through right now with the Orange Clown is the ultimate fault of democracy, not of the voters, and your present course of action (these three posts on non-voters) is not going to make you any new friends who do not vote for whatever reason they do not vote. Democracy is set up so that as long as one person votes, a winner will be declared. That is the most ridiculous system humanity has come up with yet. As we used to say in the 60s, you can rage against the machine all you want, but it is unbeatable. As long as one person believes in it, it will never cease to exist. Nor will it ever change. In Canada we have a kind of multi-party system, so while Canadian voters have more choices than Americans, only the two oldest parties, the old-fashioned “lying to your face” politicians ever get to be elected to power nationally, and the leader of that party gets to be crowned king. So really all we have is the appearance of a multi-party system. American politics is at least honest about having a two-party system, but they are made of the same “lie to your face” politicians as we have here in Canada. Neither system works, and I am sure there are many millions of potential voters in both countries who want no part of it. The best government is NO government. Figure out what jobs need to be done, and hire people to do them, people who can be fired if they don’t do those jobs in the best way possible always putting humans and humanity first. Hire people who do not want the jobs, because they will be the most trustworthy. Anyone who wants a job like that is looking for power, and they will not be capable of controlling that power. (Those people are what we presently call politicians, and most have already proved they are incapable of running anything.) Teach people responsibility, and give them the respect to believe they can be responsible. Don’t tell people what they should do or be, trust them to figure it out on their own. There is not room enough here for me to go any deeper into this, but I think you can figure it out from here. I know you won’t believe me on this, but I trust you (meaning everyone) are capable of figuring it out, because you are human. So, Jill, you have your soapbox issues, and I have mine. Normally we agree, but this time we do not. I hope we can agree to disagree, and let it go at that. rawgod … you are my friend, and as far as I’m concerned, we worked through our differences long ago. I think we can respectfully agree to disagree every now and then. Boy, when you play devil’s advocate, you go all out! I hear you, and I understand most of what you say. But, I still respectfully disagree, for as you said, if only one person votes, a winner is still declared, making it more important than ever that EVERY person vote. You are right that there is no such thing as a ‘pure democracy’, and in the U.S., we certainly do not have one. A democratic-republic is what it’s supposed to be, but today I would call it a plutocracy, bordering on an autocracy. Actually, though, I saw a word the other day that I had never seen before that may be even more appropriate: kakistocracy: government by the worst persons; a form of government in which the worst persons are in power. This may well fit the U.S. today. Personally, I lean heavily toward democratic socialism, being the “bleeding heart liberal” that I am. No, I did not do my 3-part project with the intent of making new friends. I don’t seek new friends … if they happen, that’s fine, but it isn’t my goal in life. I have good friends, some I have never met, like yourself, and it is enough for me. I wrote the piece because I want people to understand how many are disinterested, what the cost of that disinterest is, how many are being kept from voting and why, and most importantly, I hope to motivate like-minded people to help get others motivated. No hidden agenda … just that. Frankly, the writing of those 3 posts drained me and, knowing that my work makes little, if any, difference makes me want to go curl up in a ball somewhere and cry. But … what I do is, in my conscience, at least, important, and so I keep on doing it. Hugs to you, and if I could offer my shoulder for you to cry on, I surely would. Your second post was okay, and your third was even better, so, Jill, be proud of yourself for trying. Almost every comment you received was congratulatory, so please take comfort in that. But as for your first, I would not have even written what I did if you had not blamed certain voters for the 2016 results. You cannot say with certainty the results would have been different than they were, especially with the Russians playing fast and loose with the balloting. But my real goal is to get all people to give up on the democracy game. It is the voters who are perpetuating a faulty, badly imagined form of government. As long as people persist in voting, democracy will last. It has to be stopped, somehow. Why should anyone have to vote when either choice is bad? That can never result in good government. As I tried to say, the best small g governer is the one who does not want the job. Despite Barrack Obama, most politicians can never be worthy governers! There is often talk of compulsory voting as is practiced in Australia, but some contend the right to vote also implies the right not to vote. The way many vote is also very dependant not on their views but on who they think has a chance of getting into power. I have heard many in the UK say there is no point in voting Green since they will never form a government. This brings up the question are we voting for a party or voting for policies. I hear a groan go up when the party political broadcasts arrive on the TV but the broadcasters know us so well they make sure we cannot switch stations. The most commonly heard saying is ‘ what have they done for me ? and the politicians match this by telling us all how beneficial it would be for ME if we voted their way. I have considered mandatory voting, and at one time even wrote a post in support of it. But, the more I hear, the more I think the cons outweigh the pros, and in the U.S., I think it would be a mistake. I grudgingly admit that there is an implied ‘right not to vote’, but frankly, then I think those people have no right to ask for anything, either. Don’t like the minimum wage/healthcare/taxation/environmental issues/education system/student loan debt/economy? Tough. Sit down and shut up if you didn’t bother to vote. It is true that some will vote for a party rather than a candidate or issues. Those people, I find, are typically following in the family tradition: “My grandpa was a republican, my daddy was a republican, and by God, I’m a republican”. Back when Jimmy Carter was running on the democratic ticket, my friend Charles said, “I can’t stand the man, but by God I’m a democrat and I’ll vote for him!” Ignorant? Sure, but how do we break this chain when we no longer even bother teaching civics in our schools? And lastly, we would all be MUCH better of if people got out of the “me-istic” school of thought. It isn’t all about YOU, sweet cheeks! It is about the common good, the good of the nation. This attitude is how we ended up with Bozo the Clown in the White House … he pandered to the self-focused, told them how downtrodden they were, instilled the ‘fear of others’ into them, and promised to make it all better. Don’t forget I’m counting on the no voters to help me get the BDoW job. Once I’m in it doesn’t matter, rather like Trump I suppose. Your campaign manager is already on that one, with plans to make registration and voting universal, easier access, mail-in ballots, and an ad campaign that will stir interest, passion and inspiration in your campaign. No worries … there will be very few, if any, non-voters! Just over half of Americans voted … and the nation got Drumpf et.al …. The interesting thing is that even though those who do not vote claim to “wash their hands” of the whole mess, they are at least partly responsible for the results of “the mess.” Moreover, they are still obliged by the results of the election — as we are — by virtue of the fact that we remain here and enjoy the privileges of citizenship (eg., fire and police protection, schools, etc. etc). It is simply stupid not to vote and I fault those millennial who backed Sanders and then withdrew completely after he lost the nomination. As you say, voting is a responsibility of citizenship.Otherwise our democracy becomes more and more the oligarchy so many say it is becoming. Or, worse yet, a totalitarianism with a small, select few making all the calls. Agreed, Hugh. In my opinion, the non-voters are every bit as much responsible as the trumpeters for the fiasco we are seeing today. It is a cop out that I sometimes hear, when people say, “it’s not my mess — I didn’t vote”. I typically correct them and tell them that it is, indeed, their mess. I only correct them, when I’d really like to smack them upside the head! I would posit that we are already in an oligarchy/plutocracy. We have to remember that Clinton ran a crap campaign and still garnered 3 million votes more than the Trumpet! But, still your point is well taken. Yes, she came with baggage, was largely unpopular and ran an uninspired campaign, and still she won. Imagine, if we had 80% voter turnout how it might have turned out? Sigh. Can I wake up now and Obama is still president? I do wonder what might have happened if the young who were enamored of Sanders had not quit after he lost the nomination. This is where a slightly less idealistic political outlook might have stood the democracy in good stead! Quite right. I suspect we would not be in the pickle we are in now, with an ignorant, war-mongering Bozo in the White House. To his credit, Bernie tried to motivate them to vote for Hillary, but their rose-coloured glasses stayed firmly in place. Sigh. And, of course, Sanders would have had no credibility with this Congress and we would have a logjam in Washington. Oh yes, we have anyway and at least we would have had a decent man in the highest office in the land! I was referring to Sanders — had he won. Ahhhhhhh … I thought you meant if the Sanders supporters had thrown their lot in with Hillary after Sanders lost the nomination, as he urged them to do. No. I think Hillary would have had the political no-how to get some things done. Sanders, being not of the Party would have been totally ineffective. True. I liked Sanders, and liked some of his ideas, but sadly many of them could never have held water when it came to the bottom line. Many of throng who adored the man were blind to the fact that he would have made an ineffective president! Ah yes, this is true, but cannot the same be said of the current Oval Office Oaf? As I said, Sanders would have been ineffective, but a decent man. The current resident of the White House can hardly be regarded as “decent.”!! We so need a breath of fresh air! If you are able to get out and vote, it goes like this…. If you don’t vote, don’t complain about the result. If you don’t vote don’t complain until the next election, then vote. 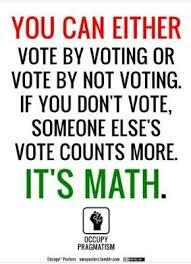 If you say voting doesn’t make a difference, they are all the same, then you are not very bright just trying to be fashionably radical, and are an extremist or opportunist’s dream. And that’s before I get around to telling you how much you insult those who died so you could be fashionable. You are spot on with that one, my friend. If we must have democracy and it appears to be the least worse alternative, then it is a duty, yes a duty of everyone to participate in the voting system. If they do not out a choice as opposed to circumstances, then they are inadvertently an enemy of freedom, because they leave the door open for extremists. I fully agree! If you cannot be bothered to vote, then sit down and shut the frib up!!! I can actually understand it more in the Netherlands, for you have a high degree of stability, relative to the U.S. at the moment. Here, though, I would think people would want to make the necessary changes, especially the minorities. Sigh. Mmmm, yes, but it is always dangerous if people rely too much on the stability of things. And of course the ones that are voting are not the ones in the middle, but the ones on the edges … so what do you get? People like Thierry Baudet … sigh. That’s very true … things can change in a blink, as we have seen. I wasn’t suggesting that voter apathy was acceptable, even in the Netherlands, just that I could understand it better there than I can understand it here, where I think everybody should be up in arms. But no, it is never acceptable and we need to find ways to motivate and inspire. I did toy with the idea of mandatory voting, but I’m hearing too many negatives, so perhaps not the best idea. Exactly! This is why we have a government that panders to the wealthy white folks.